When Amelia Blackmon’s parents died unexpectedly, she was forced to marry a man she barely knew. Now widowed, she vows never to marry again. But when she meets a man who wants to give her freedom rather than control her, she can’t keep her heart from falling in love. Alexander, Viscount Camberly, was betrayed by his brother and taken from his homeland. 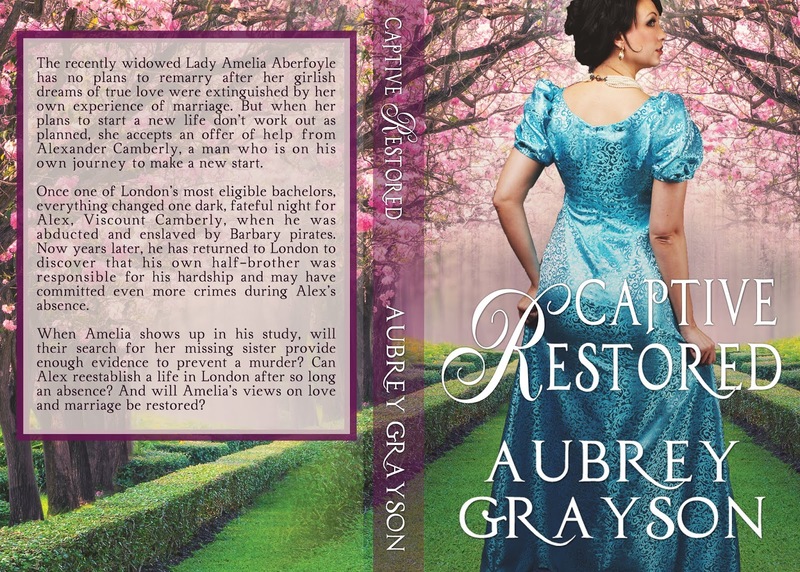 Finally back in England, he finds his estate destroyed, his title in question, and a wake of disaster in his brother’s trail. Vowing to right his brother’s wrongs, the last thing Alex has in mind is marriage. That is until he meets Amelia, and finds their futures--and their pasts--intertwined. But when their enemies catch up to them, can they work together to restore the lives they should have had all along? 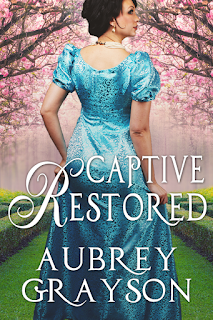 Captive Restored is available now in ebook format on Amazon, and the print edition will be available soon! Add it to to your shelves on Goodreads, and visit Aubrey on Facebook.